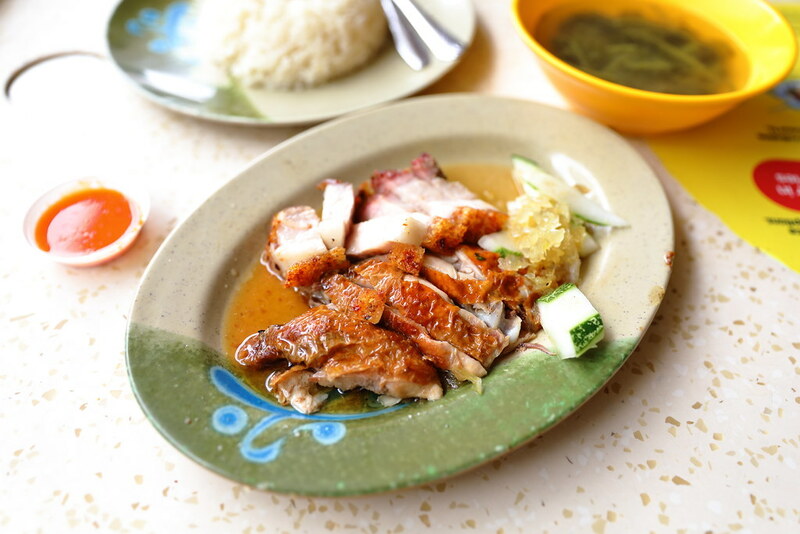 I have been to Aljunied almost every weekends and sometime I will settle lunch at the nearby Geylang East Centre Food Centre. 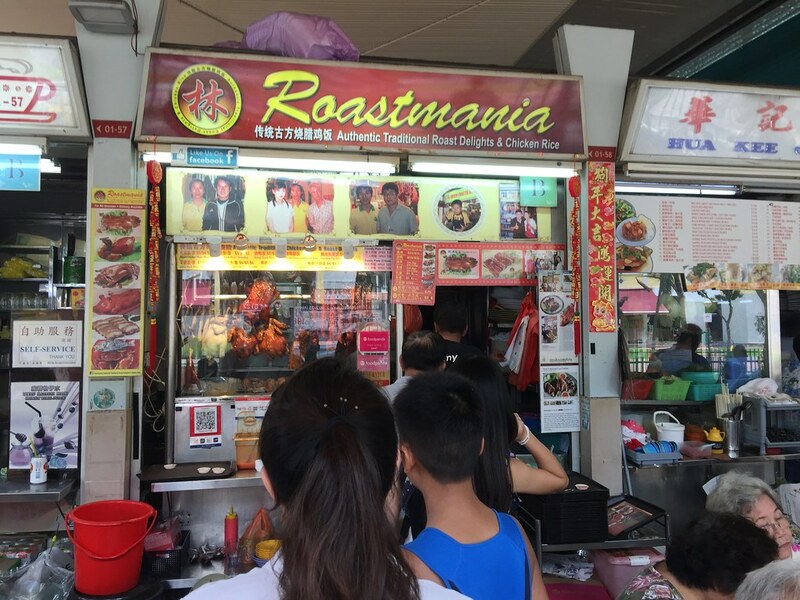 One of the stalls I tried is Roastmania Authentic Traditional Roast Delights & Chicken Rice. I understand it has recently moved and re-located down the road. It is now at Shiyun Food Junction, opposite McDonald's. 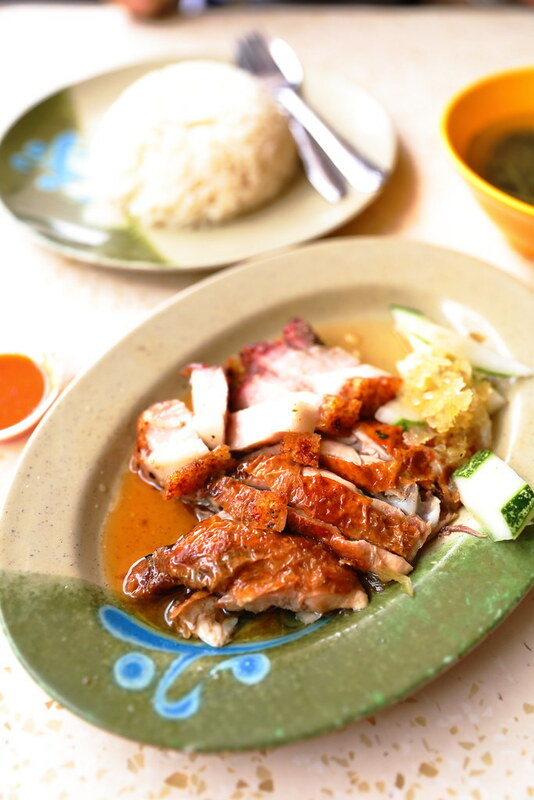 I ordered both the Roasted Chicken and Sio Bak to try. The platter even comes with some sliced cucumber and salted vegetables. The special thing I like about the roasted chicken is the crispy skin. You can see from the picture, a layer of crispiness sits on top of the tender chicken. The Sio Bak has a delightful biscuit-like skin with juicy and fatty meat. While the skin is crispy, I thought the meat is not roasted enough and it is a bit too fat. Overall the stall sells pretty good roasted meat, this probably can be justified by the constant long queues at the stall. My review only based on the roasted chicken and sio bak which I tried. I probably need another re-visit to check out the other roasted items on the menu.